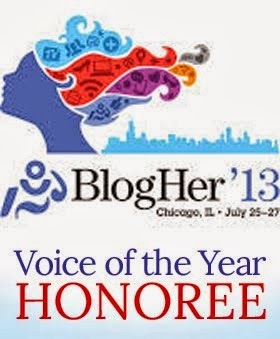 Since then, three other bloggers have given me this same award, and trust me, it has not lost it's luster. I don't "get around" the blogosphere much. I feel overwhelmed sometimes by all this social media. I could spend all day reading all the wonderful blogs out there, following links from Twitter and Facebook. I love connecting with other women via blogs. It has done so much for my sense of perspective. There is some amazing stuff going on out there. Some blogs go viral by the day, and others stay small (like mine). To be recognized among all of this awesomeness is just . . . well, awesome! Lora from My Camo Kids: Somehow, Lora found me when I first started blogging. I think she was one of the first non-family or friend commenters on my blog. Since then, I have loved following her military family as they have moved across the country, faced another deployment, and adopted a daughter into their family. She definitely has given me a new perspective on so many things. Jennifer from My Wonderfully Imperfect Life: This is one of my new blogger friends. You must go visit her site to see her banner picture. It makes me squeal every time! She has a darling toddler son and wants to start trying for another. She is on a mission to lose weight first. I can relate to her in so many ways (not about having another one, though!). Please check out all four of these women and give them some love. They totally deserve it! As part of this award, I'm supposed to tell eleven things about myself and then answer some questions and ask some questions and nominate other people and so on. Oh my gwad, that makes my head spin, so I will refer you to this post and this post in which I say lots of things about myself. And since I would have to answer like 33 questions, I will skip that part, too. What I will do is tell you about some of my other favorite blogs in addition to the ones above and the ones I named in the original Liebster blog post. I read lots of blogs, but these are the ones that I read on a regular basis and feel like I have a connection to the women who write them. Let Me Start By Saying: Kim is freaking amazing. She truly epitomizes how to "grow your brand." Not only does she have her original blog, she has started Elf Shaming, she writes for In the Powder Room, and is now a regular contributor to Huffington Post Parents as well. And the thing I find so great about her is that she responds to every. single. comment. everywhere. That shows me that she really cares about her readers and appreciates them. Oh, and she's also writing a YA novel. Can you tell I'm smitten? Every blogger has another blogger she's dying to meet. Kim is mine. Honest Mom: I love JD. I swear she is my long lost twin sister. She is so sweet and funny and honest (obviously). She writes a lot about depression and antidepressant use, to which I can obviously relate. She writes about the frustrations and the funnies about being a mom to two girls. Oh, and she's doing a month of giveaways RIGHT NOW! Naps Happen: Alicia is another clever one. She posts the most awesomely cute pictures of kids napping and the sharpest commentary I have ever read. My sweet Joey was even featured on one of her posts. The Mom of the Year: Meredith writes a short, witty, totally on-point post almost every day about, well, every day things. With a three year old son who is refusing potty training and a darling one-year-old daughter, she pretty much has the mommy guffaws handled. Tidbits from the Queen of Chaos: If I lived in Chicago (which would be so cool), I think AnnMarie and I would be BFFs. She talks about her everyday life with four kids that is far from ordinary! She has two sons with CF, a toddler who refuses to sleep in her own bed, a son who is an angel in heaven, and did I mention she is doing the teenager thing, the tween thing (times 2), AND the toddler thing all at once? She is a queen! An Inch of Gray: Anna is my soul sister. She was just a normal mama raising two beautiful children when out of the freaking blue her life changed when her gorgeous son Jack was taken from her in a terrible accident. Like my Joey, Jack left a lasting impression on everyone he met, and his influence continues to this day. Anna writes a lot about dealing with her grief over the last year, and I can relate to every single post. According to Mags: Melissa starts every post with a totally cute quote from one of her two kids. She writes about her life with her kids in a fun and light way. She and her husband also have a podcast of children's stories called Night Light Stories - super cute! Family Grace with My Five Sons: I started reading this one for obvious reasons. Shawnelle is one of the sweetest, most spiritually inspiring bloggers I read. Every time I read one of her posts, I look at my family in a whole new way. Rubber Chicken Madness: Kimberly is a divorced mom of two sons who has entered the world of on-line dating. She peppers her blog with stories about these dating experiences and thoughtful, inspiring words of wisdom. She also posts awesome quotes on Facebook all the time, too. Hollow Tree Ventures: Robyn is so creative. You have to check out her "As the Dollhouse Turns" series. It's like a soap opera with dolls. I'm not sure how she has time for this, but it is a hoot! I can't wait to see what happens next. Paige Kellerman: There's More Where that Came From: Paige is another funny blogger. She has twin toddlers and a newborn, and how she finds time to write such witty posts through the post-partum haze is beyond me. She also creates some wickedly funny e-cards. Finding Joy: Rachel is very sweet and spiritual as well. She makes lists of ways to have a better life, have more time with your children, have more happiness, etc...She also frequently writes "Dear Mom" letters, which hit home every time. You must check out her writing. It has been shared around Facebook a lot lately. It's Not Wine, It's Mommy Juice: Kristine is a riot! She has two darling, precocious girls who keep her on her toes. At the end of a lot of her posts, she will give a wine recommendation as well. Bonus! DeBie Hive: Kelly is a mom of four, a doula, a photographer and writer. She's another one that has a lot going on. I love her thoughtful perspective on so many topics. She's not afraid to voice her opinion, but in a totally non-offensive way. Try Defying Gravity: Alysia is the mom of three boys, two on the autism spectrum. The perspective that she offers about her sons is amazing. She writes candidly about their struggles and hers, as well as the joys and triumphs of raising these wonderful boys. Literal Mom: Missy's tag line is "Thinking parents make better parents." So true, so true. I found her through Just. Be. Enough., a website I love. She's smart and confident - love that, too! 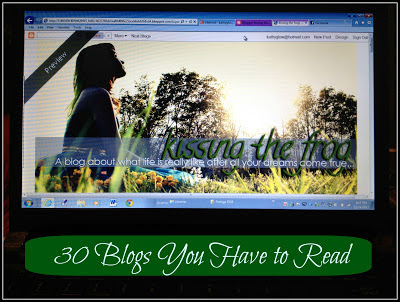 Krisztina Williams: Okay, here's another blogger that makes me feel like a slacker. The force behind Blog Entourage, she also creates the Accessorizer (I love looking at the combinations of clothing, shoes, and accessories she puts together), and she had a Halloween blog and now a Christmas blog. I can't wait to see what she comes up with next! When Did I Get Like This? I fell in love with Amy after running across her book of the same name at Target over a year ago. A New York City mama, actress, and author, she is hilariously honest about what it's like raising three kids in the City, while still trying to maintain a career. Imperfect Mommy: Jenny and Marie share the writing of this blog, so it's fun to hear their two different perspectives on marriage and raising their kids. Sometimes funny, sometimes serious, long posts or short, it's always an entertaining read. Lady Goo Goo Gaga: Lady doesn't post very often, but when she does, it is well thought-out hilarity. You will pee your pants laughing. She regularly calls her two little boys Guidos, and she's proud of that. Life on the SONny Side: Jen is quick-witted and high energy (always tweeting)! She has a darling toddler son who is the hysterical inspiration for a lot of her posts. She also writes at The Epistolarians. My favorite quote of hers, "Writing on the Internet is like whispering on a crowded playground." I think girlfriend is doing more than just whispering. Coach Daddy: I recently discovered Eli's blog, and I'm loving the male perspective. He uses a lot of sports terms to describe life with his two daughters, and it makes for some fun reading. Mostly True Stuff: Another recent find, Lexi writes with biting honesty about her life with four children including a son with Autism and a daughter with Downs. Every post of hers makes me think and nod my head in agreement. She does a lot to promote understanding of both Downs and Autism. Abby off the Record: Another new find, Abby writes about her two young boys, life, writing, raising kids. She can also be found at The Bump.com. My Four Boys: (Do you sense a theme with this one?) Bethany is THE mom of four boys, playing one on four zone defense and taking her readers word-for-word through the hilarious conversations her boys have. She also blogs at Huffington Post. Mommy River Badger: I cannot wait for this blog to take off! I really love it. She has only been blogging for about a month, but I think once people discover her sweetness and honesty, they will love it, too. Every single post I've read so far has resonated with me and left me feeling all warm and fuzzy inside. So there you go. 30 fabulous blogs for you to check out. And if you are one of these bloggers, consider yourself Liebster'ed. Do with that what you will. I can think of so many more that I read and would love to go on and on, but seeing as it already took me about three days to write this post, I'm going to stop with these - the ones that touch me the most in some way. Make sure that if you are a regular reader of any blog, that you not only subscribe via e-mail or RSS, but please follow us, too, on our actual blog and everywhere else we are - Facebook, Twitter, Pinterest, Google +, etc... For some reason, if we want to make a bit of money doing this, the powers-that-be always want to know the number of followers we have. The more, the better. And also, can anyone tell me why, when someone follows me on Facebook as their blog self, it does not show up on my number of likes? This is driving me crazy! I always try to follow people as kissing the frog me and as Kathy me, just to give them two likes, but it only gives them one. Damn Facebook. Anyway, go check out my friends. Happy reading! !